HERALD WAR REPORT: Notice from the Morpeth Herald, January 11, 1918. The many friends of Captain H.D.K. Davies, eldest son of Canon Davies, rector of Morpeth, will be pleased to learn that he has been awarded the Military Cross. HERALD WAR REPORT: Advert from the Morpeth Herald, January 11, 1918. Lieut. H.H. Hutchinson, R.G.A., who was mentioned in Sir Douglas Haig’s dispatches in April, has been awarded the Military Cross. He is the son of Mr and Mrs Thomas Hutchinson, Pegswood, and an M.Sc. of Durham University. Captain Robert Rutherford, R.A.M.C., who has been awarded the Military Cross, resides at Moor Crescent, Gosforth. He is with the Argyll and Sutherland Highlanders. Dr Rutherford, prior to the war, was medical officer of schools to Northumberland County Council. Major E.P.A. Riddell, D.S.O., a member of the Riddell family residing at Swinburn Castle, North Tyne, has been promoted to the rank of brevet-lieutenant-colonel. For some time Lieut.-Colonel Riddell has been acting as a brigadier-general at one of the battle fronts. Prior to the war he served as adjutant for four years with the Northumberland Fusiliers at Alnwick. Capt. C. Norton Levin, who has been awarded the Military Cross, is the only son of Mr O. Levin of Westover, Gosforth. The King, in his capacity as Sovereign of the Most Excellent Order of the British Empire, has been pleased to supplement the recently issued list of New Year honours by ordering promotions in and appointments to the Order of the British Empire. The Order was constituted a few months back for the special purpose of recognising war service in a variety of directions, and there are a number of classes approximating to those of the Bath and other Orders. Knights and Dames Grand Cross form Class 1 of the Order. Knights and Dames Commanders constitute Class 2, Commanders are in the 3rd Class, Officers form the 4th Class, and the 5th Class deals with Members. Dame Commander: Viscountess Ridley, of Blagdon, has identified herself most ungrudgingly and generously in many forms of war work. Soon after the outbreak of the great conflict she converted her London residence, 10 Carlton House Terrace, into a hospital for officers, the patients in which have been mostly from this part of the country. In Northumberland Lady Ridley has rendered innumerable services, notably as Warden of the Northumberland Women’s Agricultural Guild. At Blyth her ladyship has associated herself with several war relief agencies, and at Stannington she is chairwoman of the local War Savings Association. Lady Ridley is an earnest church worker and a churchwarden at Stannington Parish Church. Since the lamented death of her husband, she has evinced a close interest in all that pertains to the Blagdon estate. Lady Ridley is a daughter of the first Baron Wimborne. Member: Mr John Cairns, Northumberland Miners’ Association, Member of Colliery Recruiting Court, Northumberland and Durham, and also a governor of the Newcastle Infirmary. Commander: Alderman G.G. Rea, a member of Northumberland County Council, and one of the best-known agriculturists in the country. He is a member of the Food Production Advisory Committee, and as a judge at agricultural shows throughout the country, is widely known and highly respected. Long and animated debates took place at the monthly meeting of the Morpeth Town Council on Tuesday evening last. The Mayor (Councillor Jas. Elliott) was in the chair. There being a vacancy on the Food Control Committee, owing to Mr John Hindmarsh’s non-acceptance of office, it was agreed, on the motion of Mr Swinney, seconded by Mr Jackson, that the Mayor be elected on the committee. Mr Temple said that during the past year all the Orders had been carried out in the borough to the satisfaction of everyone concerned. He considered that Morpeth has been as well supplied with foodstuffs as any other place. He had attended the conference in Newcastle last week, and it had been impressed upon all Food Control Committees and executive officers to adopt some scheme of distribution so that everyone would have an equal share. He referred to what Newcastle had done in respect to tea, butter, margarine, bacon, and cheese, and passed round for inspection, Newcastle’s rationing card. If a similar system was introduced all over Northumberland it would do much good. Last night the grocers were in agreement with them on the subject. With regard to the financial side of the question they received a very unsatisfactory answer at the conference. They were told not to think about finance at the present time. He said that they were going to appoint an inspector to carry out food control orders, and it had been suggested to pay him £1 a week. A member asked who would pay the inspector’s salary, and Mr Armstrong replied that it would be paid out of Corporation finance in the first place, and they hoped the money would be recovered from the Chancellor of the Exchequer. They had been told at the Newcastle conference that they must not consider the finance. The local authorities must be prepared to spend money whether they got it from the Exchequer or not. The Committee reported that a circular letter had been received from the Northumberland War Agricultural Committee, Eldon Square, Newcastle, offering to supply seed potatoes to several authorities for small cultivators and allotment holders through local associations and district councils in lots of not less than 4 tons and to individual purchasers in lots of not more than five cwts. Mr Armstrong proposed that in view of the extreme shortage of bacon, pork, and pigs, the Council consider and decide upon the advisability of establishing a municipal piggery. He said his reason was to increase as far as possible the food supply of the town. The food shortage was very serious at the present time. Food Control Committees were establishing schemes for rationing the people with regard to certain commodities. Fatty substances were necessary for the health of the people. If the war finished tomorrow the condition of their food supplies would not be improved, because there was a world-shortage. If they decided to establish a piggery the Council could ask the people to save up their potato peelings and other vegetable refuse and the stuff could be collected by the Corporation carts. He hoped that there would not be any unnecessary delay. 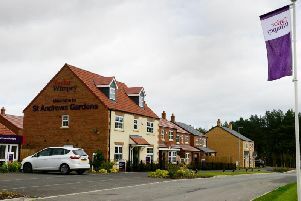 Mr Fearby said he had no hesitation in supporting the proposal, but he would have liked more details about the whole scheme, such as management and charges. Mr Temple, in supporting the proposal, thought a small committee should be appointed to go into the whole scheme. There was plenty of land for the purpose of a piggery. Mr Waterston said that a municipal piggery was nothing but nonsense. According to the law every man could keep a pig provided he kept the place clean. Nearly everybody at the present time seemed to be going to keep pigs on their allotments. Mr Swinney advised the Council to do everything possible to increase the food supply. He proposed that the following committee be appointed to draw up a scheme:— Mayor, Messrs Temple, Armstrong, Turnbull, Charlton, and Simpson. This was seconded and agreed to. Ald. Norman proposed that the Council endeavour to provide additional land for war allotments. He said that the members would have read the letter in the “Herald” on the question of allotments, and he would like to state that the Council had done something to provide allotments. He referred to the Thorpe Estate allotments, where there were 80 holders. It was most essential that they should give every opportunity to those who required allotments. Let every bit of land that was doing nothing be utilised to provide food for the people. He was very glad that the efforts of their last year’s Mayor and others were so successful. The time had come when they should “gather up” the land which had been left, and also a portion of the park might be utilised for allotments. They should let it be known that there was land and which could be had practically free of cost. Mr Charlton moved that the matter be left entirely in the hands of the Allotments Committee, who had made such a good job last year, with the addition of the Mayor. Mr Fearby seconded, and it was agreed to. It was also agreed, on the motion of Mr Swinney, that the Town Clerk issue handbills with regard to the matter. Lance-Corporal Adam Robertson, Hussars, son of Mr and Mrs R. Finlay Robertson, 6 Fenwick Grove, Morpeth (late of Alnwick), who was reported missing on November 30th, has sent a postcard to his parents stating that he is a prisoner of war in Germany, and that he is well. Mr and Mrs G. Jackson, High Church, Morpeth, have received news that their eldest son, Private G.H. Jackson, N.F., has been wounded a second time in France, and is now in the General Hospital, Aberdeen. Mr and Mrs T. Slater, 3 Ritson’s Buildings, Dudley, have been informed that Pte. J.W. Tilley has died of wounds. Private Fred Thompson, youngest son of Mr John Thompson, wine and spirit merchant, Dinsdale House, Blyth, had died from wounds. CARR.— Died of wounds in France, December 1st, 1917, Private Ernest Carr, R.A.M.C., dearly beloved husband of Elizabeth Alice Carr (nee Jackson), youngest son of John and Sarah Carr, of Ashington.— Deeply mourned by all. GREEN.— Killed in action on the 13th December, 1917, Private George Green, beloved husband of Mrs S.A. Green, No. 4 Hillgate, Morpeth.— Deeply mourned and sadly missed by his sorrowing wife and family. MATHESON.— Killed instantly in action at Ribecourt, France, aged 32 years, Gunner Edw. Matheson, Siege Battery, R.G.A., dearly beloved and youngest son of Thomas Matheson, nursery and seedsman, Morpeth. MACKENZIE.— Died of wounds received in action on December 29th, 1917, at No. 2 Canadian C.C.S., Ligssenthock, near Poperinghe, Belgium, aged 21 years, Private E. Llewellyn, N.F., dearly beloved son of Daniel and Alice Mackenzie, The Willows, Red Row, Broomhill.— Deeply mourned. In accordance with the King’s proclamation last Sunday was set apart as a national day of prayer and thanksgiving, and intercessional services were held all over the country. In all the churches in Morpeth, namely, St James’s Church, St George’s Presbyterian Church, St Robert’s Roman Catholic Church, Congregational Church, Primitive Methodist Church, and the Wesleyan Church, special services were held, and sermons were preached having reference to the world-wide struggle. “To My People.— The world-wide struggle for the triumph of right and liberty is entering upon its last and most difficult phrase. The enemy is striving by desperate assault and subtle intrigue to perpetuate the wrongs already committed and stem the tide of a free civilisation. We have yet to complete the task to which more than three years ago, we dedicated ourselves. “At such a time I would call upon you to devote a special day to prayer that we may have the clear-sightedness and strength necessary to the victory of our cause. This victory will be gained only if we steadfastly remember the responsibility which rests upon us, and in a spirit of reverent obedience ask the blessing of Almighty God upon our endeavours. “With hearts grateful for the Divine guidance which has led us so far towards our goal, let us seek to be enlightened in our understanding and fortified in our courage in facing the sacrifices we may yet have to make before our work is done. “I therefore hereby appoint January 6th — the first Sunday of the year — to be set aside as a special day of prayer and thanksgiving in all the Churches throughout my dominions, and require that this Proclamation be read at the services held on that day. Prior to the service at St James’s Church, Morpeth, which was attended by the Mayor and Corporation, a procession took place from the Town Hall, headed by the Highland Pipe Band, under Pipe-Major Strong, followed by a large contingent of the local Volunteers under Lieut. W. Duncan, then came the Mace Bearer with the Mayor (Councillor Jas. Elliott), Aldermen and Councillors. There was also a large turnout of the Boys’ Brigade, with bugle band, the officers being Acting Captain Arrowsmith, Lieut. J. Lamb, Lieut. Daglish, and Lieut Davies. The church was crowded, and the service, which was of a very impressive and solemn character, was conducted by the Rev. Donald Jones, Principal of St Bede’s College, Durham. The text, he pointed out, had special reference to the Jews and the Passover. There was with the Jews perpetual recollection of their great deliverance. Some day, he hoped in the near future, they should be able to begin such an observance of real festive thanksgiving, when they approached God with full hearts of thanksgiving and praise for peace restored to them. They never in their history had occasion to hold such a festival as that. Perhaps the only time when they were really seriously threatened was at the time of the Armada, but other nations had known it, and, their great foe, Germany, had its celebration. When he was last in Germany, not very long before the war broke out, the Germans were celebrating their 100th anniversary of their war for freedom. He saw in the streets soldiers commemorating the heroism of their forefathers who had risen and thrown off the yoke of Napoleon. What a tragedy it was that that nation had been occupied in recent years in making preparations to forge the yoke of slavery over other nations in the war. Their celebration to God that day was of another kind. “What mean ye by this service?” was a national question. The King had instructed that gathering of his people. What a wonderful picture it was. Throughout the whole British Empire they were meeting together to seek God’s help. God’s Kingdom established what they wanted to see, and if they meant anything by their presence there that day it was that out of this conflict and struggle and bloodshed there should come higher thoughts and higher ideals, nobler aims and nobler visions, so that God’s Kingdom of righteousness, truth, peace, justice, and love might be established throughout the world. At the close of the service the National Anthem was sung. At all the services collections were taken on behalf of the British Red Cross Society, the amount raised being £30. Tomorrow (Saturday), the soldiers and sailors, wives and children are to be entertained to tea in the Institute Hall at 3pm. Each child will receive a money present. The money has been raised by a weekly dance, conducted by Messrs Littlehales, Miller and Wood. The tea will be presided over by the Rev. M.F. MacBean, Bothal. The members of the Morpeth Company, accompanied by the Highland Pipe Band, took part in the Mayoral procession to St James’s Church last Sunday morning. There was a large muster, under the command of Lieut. W. Duncan, the other officers present being Second-Lieut. Chas. Grey and Second-Lieut. T.D. Shaw. “The County Commandant desires to convey to the Commanding Officers of the Volunteer Corps under his command, their Adjutants, Officers, Permanent Staff, Warrant Officers, N.C.O.s and men, his warm appreciation of the interest and capacity displayed by them during the past year in the performance of their Volunteer duties in spite of many discouragements and deficiencies in the provision of arms, clothing and equipment. “It is anticipated that the year now entered upon will see these discouragements removed, and deficiencies supplied, and that in consequence the movement of the force towards efficiency will be even more pronounced that at present. “He hopes that every endeavour will be made to bring every Unit in the force up to establishment in A, B and C men at an early date. “The County Commandant particularly desires to congratulate the Commanding Officers of the 1st, 2nd, 3rd, 4th, and 5th Battalions, their Adjutants, Officers, Permanent Staff, Warrant Officers, N.C.O.s and men on the fact that this regiment, with one other county regiment, has the highest percentage of efficients to establishment in the Northern Command. “This gratifying result of the first complete year of training can only be attributed to the continual interest and ability shown by Commanding Officers, the energy and efficiency of the Adjutants and Permanent Staff, and the general keenness displayed by all ranks in the battalions, in taking advantage of the opportunities for training and instruction placed at the disposal of this force by the General Officer Commanding the Tyne Garrison and his staff.